8mm Mini Globe LED String Light Content — Novolink, Inc.
Bring vibrant colors and warm, festive lights to your illuminated celebrations! 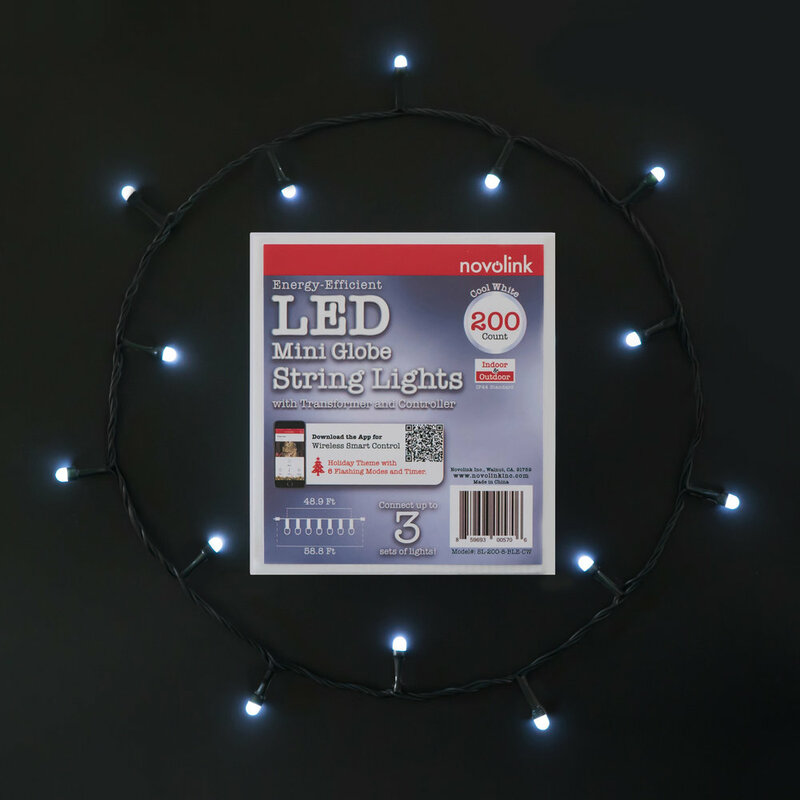 Novolink 8mm LED string lights are excellent for holiday and party decoration indoors or outside, and use 200 energy-saving LED bulbs per string. Wirelessly control the flashing pattern, timers, and brightness all from the Novolink App, available for iOS or Android. 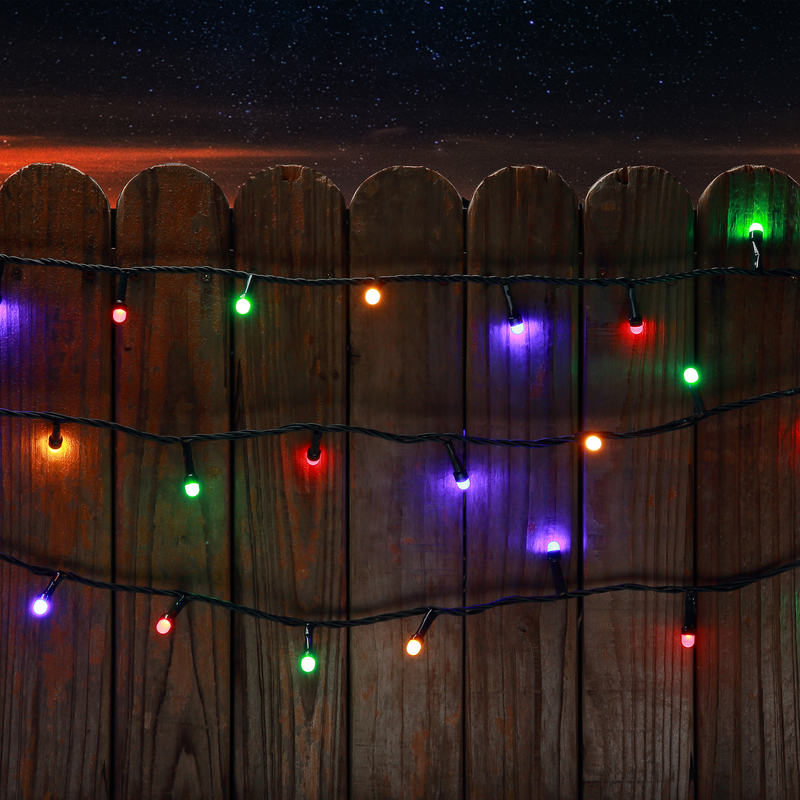 Hang or wrap the string lights, select your favorite flashing mode, and enjoy your very own festival of lights! 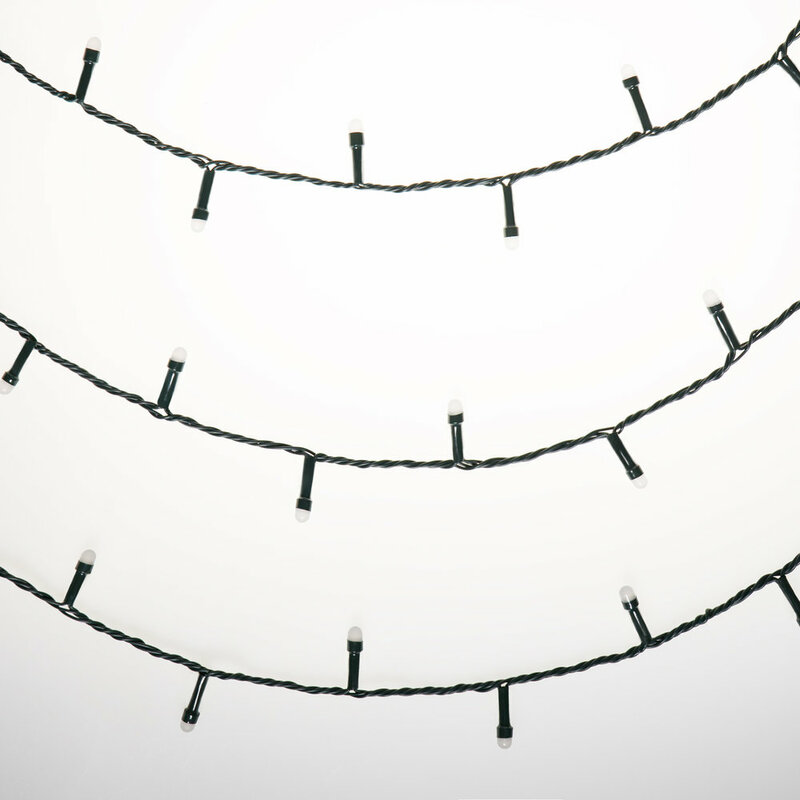 Control all functions with the Novolink D-Lights App, available for iOS and Android. Package Includes: 200ct 8mm Mini Globe LED String Set, Controller, Transformer, Instructions. 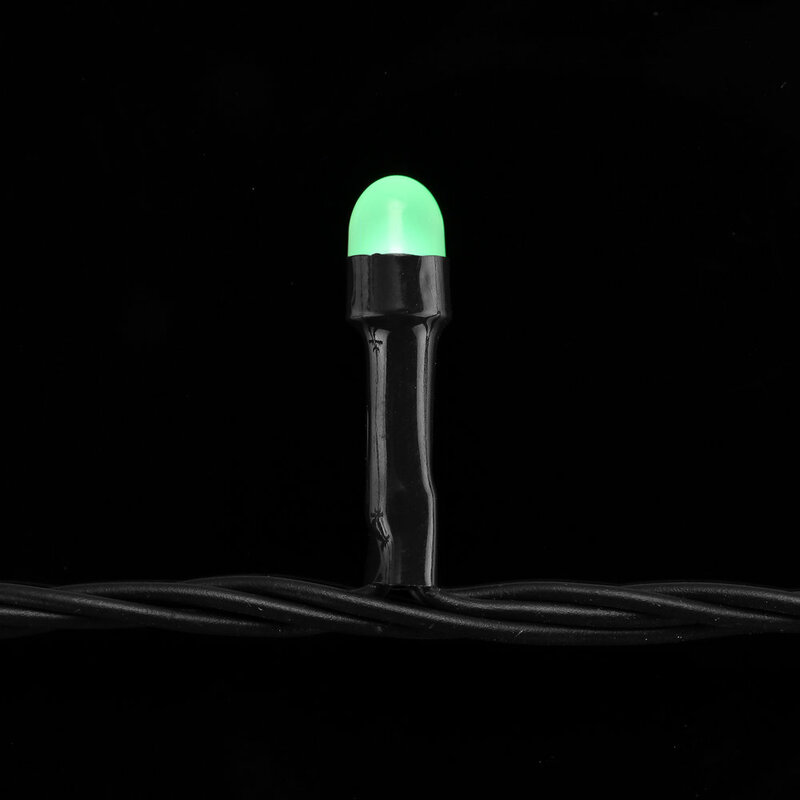 SL-200-8-BLE-MC: Multi-color, 200ct 8mm Mini Globe LED String Set with Controller/Transformer. SL-200-8-ADO-MC: Multi-color, 200ct 8mm Mini Globe LED String Add-on Extension Set. SL-200-8-BLE-WW: Warm White, 200ct 8mm Mini Globe LED String Set with Controller/Transformer. SL-200-8-ADO-WW: Warm White, 200ct 8mm Mini Globe LED String Add-on Extension Set. SL-200-8-BLE-CW: Cool White, 200ct 8mm Mini Globe LED String Set with Controller/Transformer. 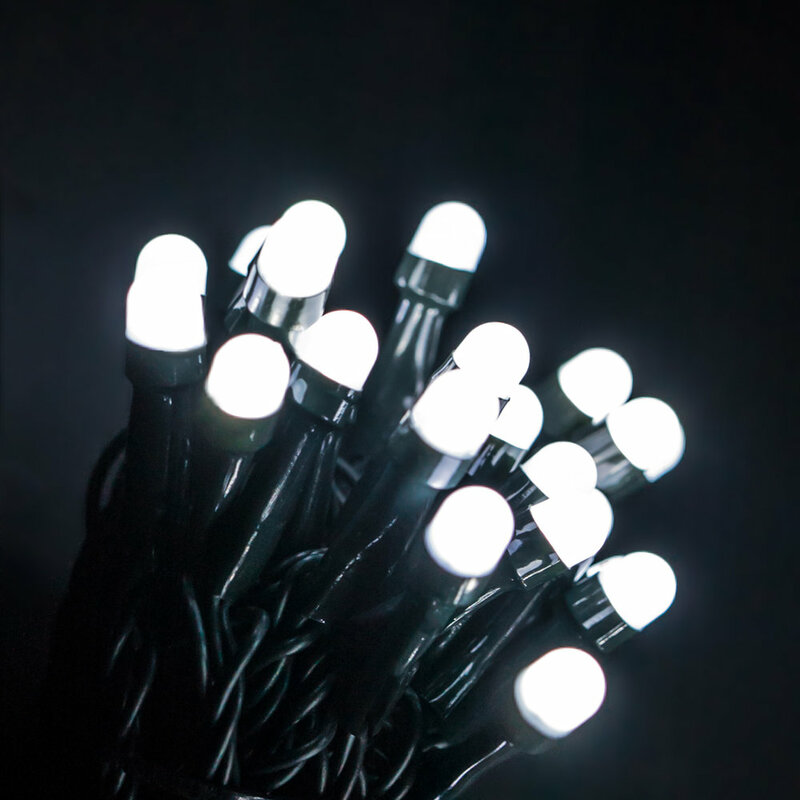 SL-200-8-ADO-CW: Cool White, 200ct 8mm Mini Globe LED String Add-on Extension Set.